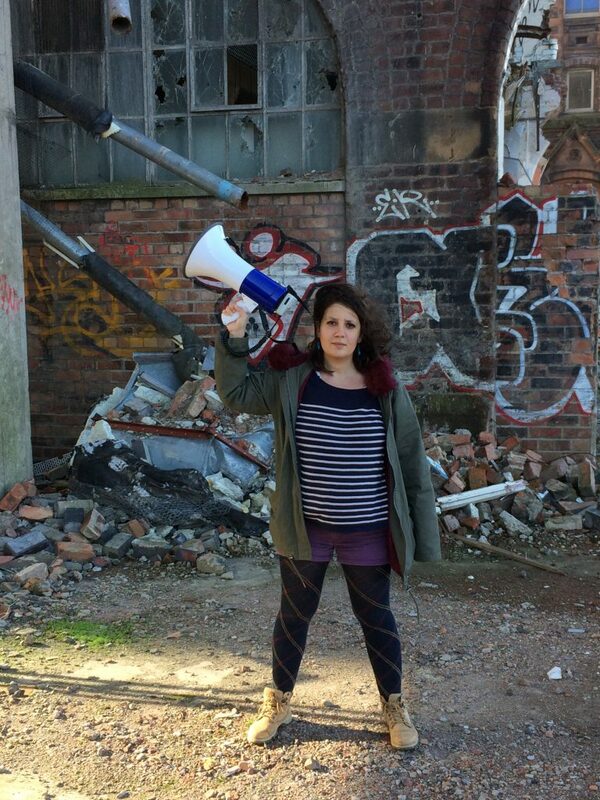 Playwright Sara Shaarawi from the Workers Theatre writes about her new Kickstarter, Megaphone. This article was first published in the Bella Caledonia print edition, available monthly as a supplement of The National. I moved to Scotland six years ago to study for my postgraduate degree. I had never lived abroad and I had never lived alone. So spending my first couple of months in Edinburgh fighting against the wind and the rain every time I went out, I thought that leaving Egypt was the biggest mistake I had ever made. Thankfully, I was wrong. After having half a breakdown during a playwriting workshop, the workshop facilitator took me aside and gave me list of theatres to contact. That one random act of kindness completely changed my relationship to Scotland, because that’s how I ended up discovering its theatre. I loved how honouring the canon came second to producing new work. I loved the deep interest in storytelling and narrative. I loved learning about the many languages of Scotland, and the politics that accompany them. And what I really enjoyed was that Scottish theatre seem to really struggle to establish itself within the UK, that it fought a battle to legitimise itself as a form of theatre distinct from British theatre. I come from a place where making theatre is incredibly difficult; where nepotism, no resources, and censorship are real concerns. So I was very attracted to the struggle Scottish theatre went through to reclaim Scottish identity and explore culture on its own terms. When I decided I wanted to start writing plays, there was no question that I would do it here. But three years into a career in Scottish theatre, I’m starting to see that we are limiting ourselves through our lack of diversity. I think that the struggle for what Scottish theatre is, or can be, has to be greater. I know that lack of diversity isn’t a new problem in theatre, but it became a glaringly obvious problem in the aftermath of Indyref. Scottish theatre, like Scotland itself, is in the throes of an identity crisis. In the lead up to the referendum I found myself watching a country gaining confidence in itself, in what it could be, and the theatre being made at the time was reflecting that. But since then Scottish theatre has become nostalgic, yearning for its cultural glory days, paying homage to the work that put Scotland on an international stage. I understand the urge to do that, to watch Trainspotting, Cheviot and Slab Boys and say ‘look what great work we once made’, but we need to be careful. The great pieces of theatre that define Scottish theatre are all incredibly male and incredibly white; they are not the Scotland I know today. Scotland’s cultural makeup is changing fast, but we haven’t seen this change reflected on its stages yet. I want to see the Scotland I love on stage. I am not pushing for more diversity in the theatres purely on a political level, but also because I feel that this is a chance for Scottish theatre to rise up and forge a new identity for itself, an identity that is not homogeneous, an identity that can capture all the complexities and vibrancy that contemporary Scottish society encompasses, an identity that is internationalist and inclusive. Among the panic about Brexit and the rise in hate crime, this is a chance for theatres to take a stand against division and offer resources and platforms to those who are most affected by the rising tide of oppression and xenophobia. This is why I decided to create Megaphone, a new crowdfunded residency that will support artists of colour in their development as artists, with the aim of getting their work produced. We need to see more work by diverse artists on stage. The Kickstarter funding will literally kickstart the project; the Workers Theatre – a new Theatre Cooperative in Scotland – and I will make sure to offer the successful residents whatever they need in terms of space, networking, mentoring and resources. I decided to circumvent the normal institutions and routes to funding and make this a genuinely grassroots campaign, not just because of the urgency of the project, but because I trusted that there were enough people who not only want to challenge this lack within Scottish theatre, but who are also curious to see what can come out of this. Enough people to help me build a community of support for artists of colour and work for a more diverse more exciting Scottish theatre. I refused to compromise when it came to the bursaries. I wanted three bursaries not one, I wanted the all or nothing campaign, because I am tired of making compromises when it comes to underrepresented communities. I was nervous at first, but the past month has been incredible. It’s affirmed my faith in Scotland’s theatre. We’ve received so many messages of support, from Holyrood to the press, from theatres to Trade Unions. We’ve had people contacting us about their projects, we’ve had people campaigning with us, and that has made me sure that I made the right choice. Just that connections and community that have emerged has been empowering. I do believe Scottish theatre, and all of Scotland, can gain confidence in forging a new identity. I think we can move on from comparisons to England or elsewhere, and move towards questioning this country on its own terms and the problems that exist within it. Please join us and help support artists of colour in Scotland. “As of 4th March, with just over £2000 and 4 days to go, we’ve decided to push ourselves even harder and further, and announce two special stretch goals if we not only make but exceed our main target. £12,000: Each Megaphone artist will receive a £300 budget to spend on production (set, props, dress, tech, anything they want) for their performance. £15,000: We will add a fourth Megaphone residency to the 2017 programme! There are many things lacking within Scottish theatre, so I wish Sara well with her splendid initiative. 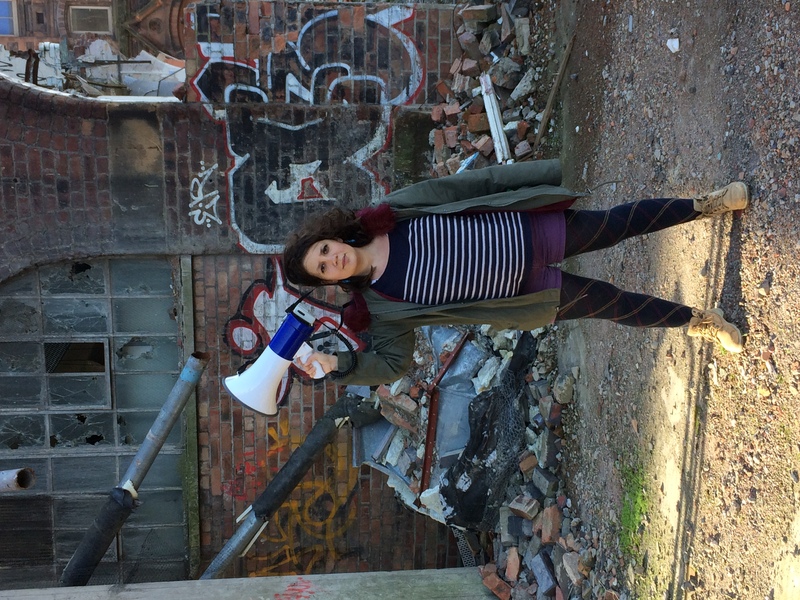 I admire her eloquence, energy and her ambition – but shouldn’t the National Theatre of Scotland be supporting Sara and her Megaphone?